Who wouldn't enjoy the benefits of this chic, oversized, and functional leather bag? The versatility of this bag—along with the size of it—affords many opportunities! The external pocket, internal pocket, AND zipper at the top make the functionality unbeatable. Another added bonus? 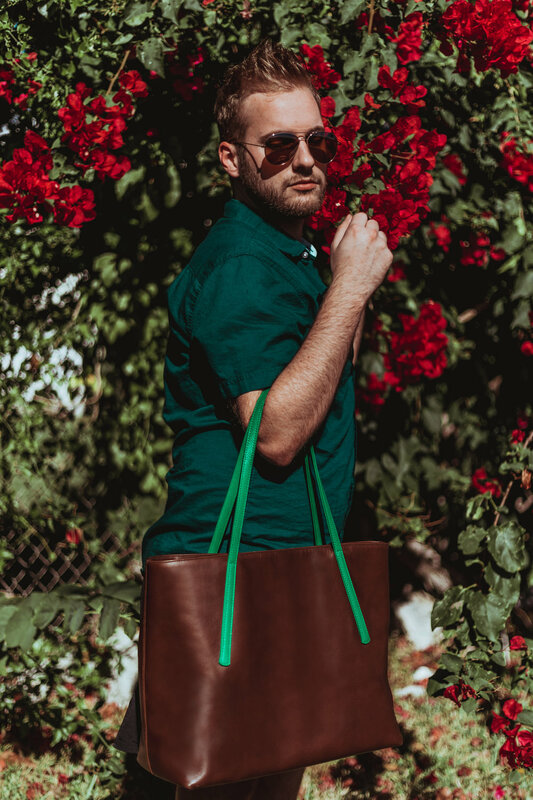 This carry-all tote is handcrafted in the USA and can be fully customized on the Laudi Vidni site. Functionality: Two 5/8" wide straps with 10" drop. Exterior includes 8.5" zippered pocket. Interior includes an 8" zippered pocket, two 5" high x 4" wide open pockets and a Laudi Vidni key clasp. Zipper top closure. Custom-designed and handcrafted in the USA.